Webern, Anton, 1883-1945. Concerto, piano, winds, strings, op. 24 . Concerto for nine instruments, op. 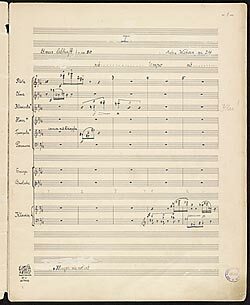 24 : autograph manuscript, 1934?